We recently announced that Toyota would probably reveal a new Prius with all-wheel-drive technology, and the automaker has kindly obliged. 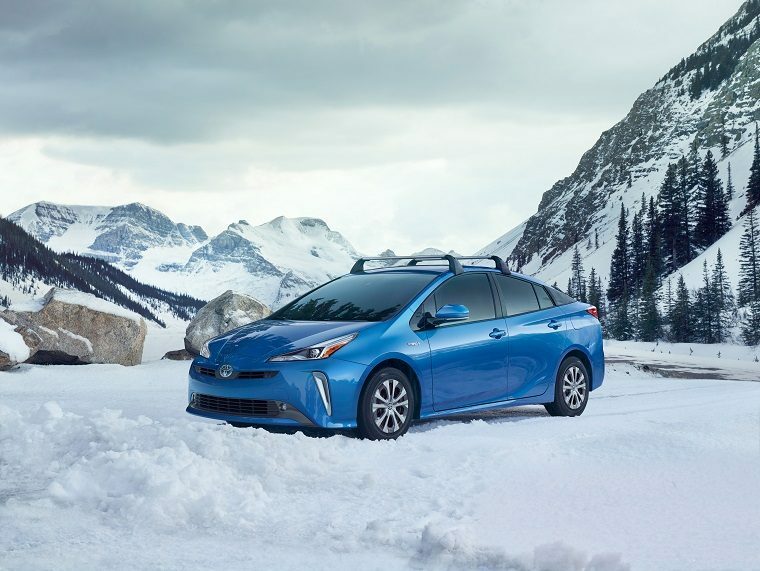 Unveiled at the 2018 Los Angeles Auto Show, the 2019 Prius embraces Toyota’s “Let’s Go Places” slogan with a new AWD-e system, enabling it to go places even in poor weather conditions. Though AWD typically comes at a cost to efficiency, Toyota projects the Prius will be able to maintain a combined fuel economy average of 50 mpg, making it one of the most fuel-efficient AWD passenger cars you can buy in the U.S. So how does it work? Unlike typical AWD systems, the AWD-e system in the Prius does not need a center differential or front-to-rear driveshaft. Instead, it uses an independent, magnet-less rear electric motor to power the wheels from a stop to 6 mph, and then up to 43 mph when needed. In other words, it helps the car get going and, if extra rear power is not necessary, the front wheels will do all of the work as usual. Toyota believes the Prius AWD-e will represent a quarter of annual U.S. Prius sales. With the 2019 model also comes a number of exterior styling revisions, helping the Prius look less edgy and more like a real car designed by real people. It will also come with the Toyota Safety Sense P suite of active safety technologies, a dual 4.2-inch color cluster display, and a 6.1-inch touchscreen display as part of the Toyota’s standard Entune multimedia bundle. Toyota Tech: What is Toyota Safety Sense?